Yup, there was a challenge over at marks finest papers to use chalk on your card. 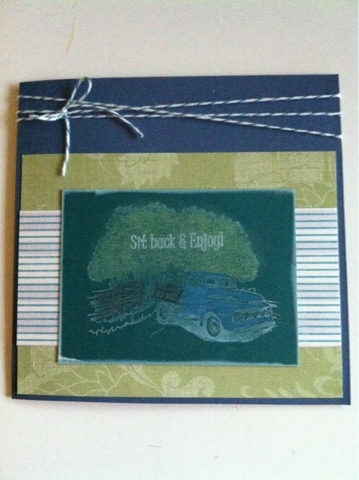 So I made a chalk rubbing of their classic pickup truck image and place it on this card. Sorta reminds me of a photo negative. Cool huh? Cool card using this image and the chalks. So glad you joined us this week at FOSTV.